Whether utilized with chiropractic adjustments or even on it’s own, massage therapy has many physical and mental benefits. 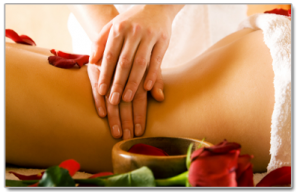 Many people enjoy the drug-free benefits of massage therapy to treat injuries, as well as maintaining their health. Depending on the type of injury or pain symptoms you are experiencing, we will determine the best form of massage therapy to relieve your pain and stress symptoms.